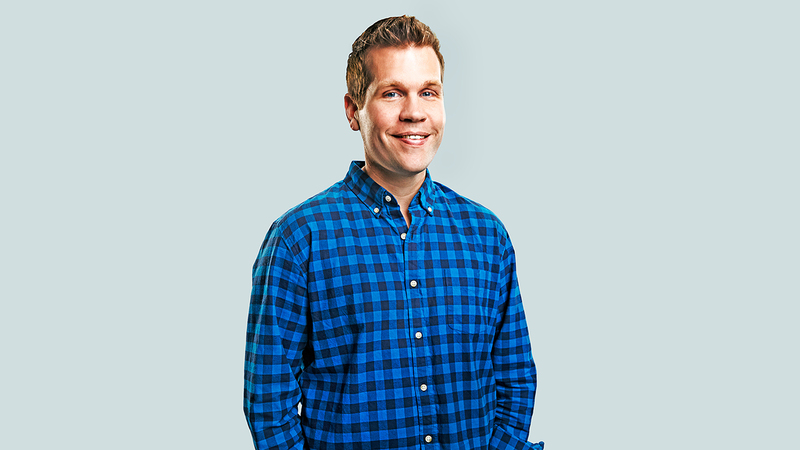 Just over four months after being promoted and identified as part of the next generation of leadership at Goodby Silverstein & Partners, executive creative director Eric Kallman is leaving the agency to work as a freelancer and "pursue other outside creative interests." Kallman, who Adweek named one of the U.S. ad industry's top creative chiefs in this summer's Creative 100 list, is best known as the copywriter behind Old Spice's "The Man Your Man Could Smell Like" campaign, launched while he was with Wieden + Kennedy, Portland, Ore.
Kallman joined GS&P as a creative director in 2014 after stints at W+K, TBWA\Chiat\Day and, most recently, Barton F. Graf 9000. Going into this year's Cannes Lions festival, he had won 28 Lions for his work over a seven-year period, making him one of the industry's most-awarded creatives. In March, GS&P rolled out its new creative leadership team, positioning Kallman and fellow ecd Margaret Johnson as the heirs to the agency's legacy. At the time, co-founder Rich Silverstein told Adweek that "Margaret, Eric and Paul [Caiozzo, leader of of the now-defunct GS&P New York office] are the next generation of creative leaders for the agency." Jeff Goodby added: "Rich and I will continue in our roles as advisers and guiding hands. But Margaret and Eric are now the ones with ultimate responsibility for the work on each of our accounts." Sources within the agency, who asked not to be named, suggested that Kallman had grown frustrated by the small number of accounts he got to work on, that he wanted to create a wider range of campaigns and that the new leadership team was not quite as perfect a fit as he hoped. Moving forward, 18-year agency veteran Johnson will lead GS&P's creative department and manage its team of creative directors. The agency has no plans to hire a replacement for Kallman. Jeff Goodby described Kallman's exit as one that "happened very amicably," adding, "I wouldn't be surprised if we freelanced him in the very near future." Kallman agreed but didn't offer much more information. Regarding his future plans, he tells Adweek, "Moving forward, I'll be freelancing at Goodby and probably other agencies as well."